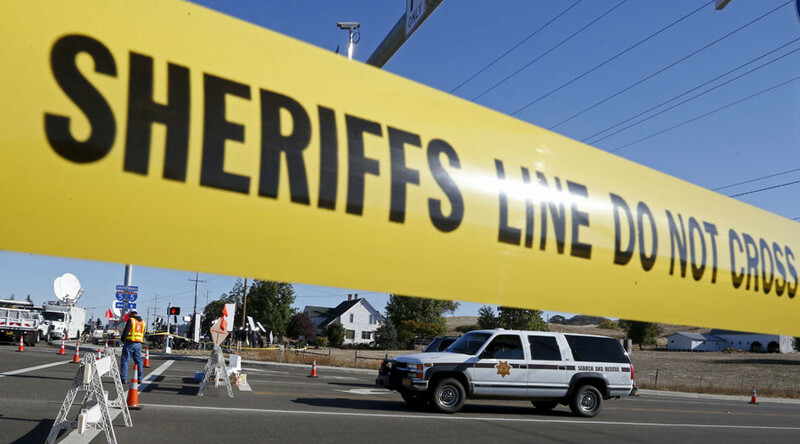 Three-hundred-and-fifty-one mass shootings have been added to a crowd-sourced database in the last 334 days. Some Reddit users are compiling news stories of shootings in which at least four people were injured or killed, but others question the findings. The Mass Shooting Tracker tallied its 351st shooting of 2015 on Friday, when Robert Lewis Dear, Jr. killed three and injured nine at a Planned Parenthood office in Colorado Springs, Colorado. In a separate shooting incident on the same day in Sacramento, California, two were killed and two injured. There is no official count of how many mass shootings have taken place in America this year. The FBI counts “mass killings” as incidents in which three or more were killed, but The Mass Shooting Tracker defines a “mass shooting” as an incident when at least four people are injured or killed, including the gunman. Like nearly every issue on the Reddit website’s forums, not all users agree on The Tracker’s findings. One user, MrMember, checked the news links attributed to six stories (#45, #71, #111, #125, #196, and #289 on The Tracker), finding that none of them fit the chosen definition of a mass shooting. Some of the news reports cited by The Tracker headline how many people were injured during a shooting, but upon reading for details, not all of the injuries resulted from gunfire. Still, 345 mass shootings averages out to more than one per day in 2015. Keeping with The Tracker’s figure of 351 mass shootings, about 42 percent involved zero deaths. One person died in roughly 29 percent of the incidents, while another 29 percent involved two or more deaths. Fifteen reported shootings had five or more deaths. In a study conducted by University of Alabama Criminal Justice Professor Adam Lankford using the mass shooting definition of four or more killed, nearly one-third of all mass shootings worldwide between 1966 and 2012 were found to occur in the US. Ninety mass shootings were recorded in those 46 years – five times more than in the next country, the Philippines, which had 18. About 300 million firearms are believed to be in the US and a 2011 Gallup poll showed 47 percent of US adults kept a firearm in the home.